The Gecko PTT marine communications system connects to the Gecko open face, full face and surf helmets to provide head protection combined with the ability to communicate with colleagues on land, sea or air at the push of a button using VHF or UHF radio. 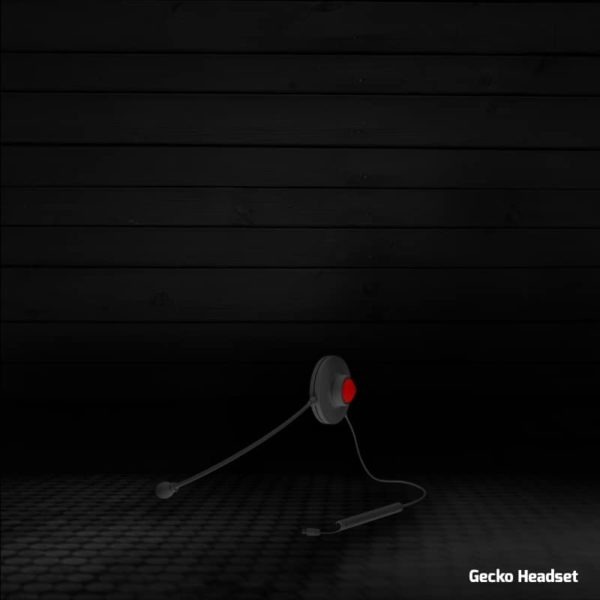 Worn as a push-fix attachment to your Gecko helmet or sea comm, the Gecko headset comes with a choice of connectors that work with many different brands of radio including Icom, Motorola, Kenwood, Maxon, Vertex, Nokia and more. Choose from a single speaker to fit into the left ear aperture of your helmet, or twin speakers to fit into both ear apertures (please note that twin speaker headsets cannot be worn with a sea comm). Headsets are made to order to fit your make and model of radio as the wires and connectors vary from one radio to another, contact us to ensure that we can manufacture a headset for your radio before placing your order.